EXCLUSIVE AT NET-A-PORTER.COM Biker shorts are slowly losing its cycling connotations as your favorite influencers are showing you how cool they look outside the gym. 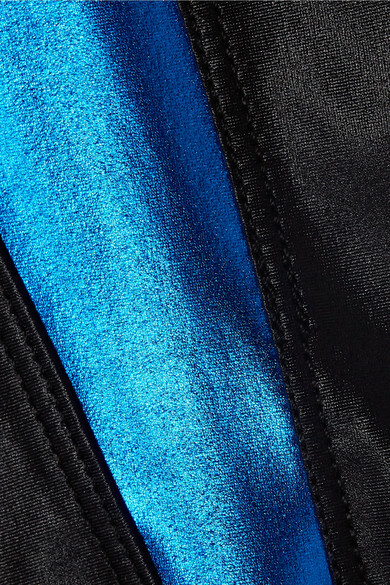 Created for us, Heroine Sport's high-rise pair is cut from stretch fabric that's contrasted with bright-blue panels. Style them with one of the brand's tanks and sneakers. Shown here with: Nike Sneakers, MZ Wallace Backpack.